How do I add headings? To add a heading, place your mouse somewhere on the line and click on the &apos;+&apos; icon. 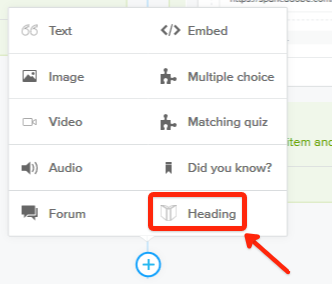 Then select &apos;Heading&apos;.